Fish Lovers- here are Copper Fish Earrings – Long & Light Earrings to wear! 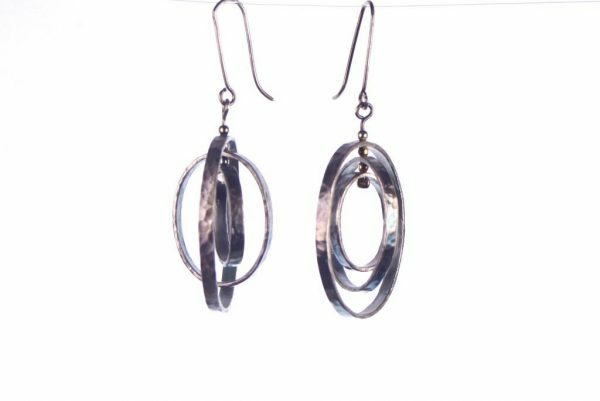 These earrings are super light. 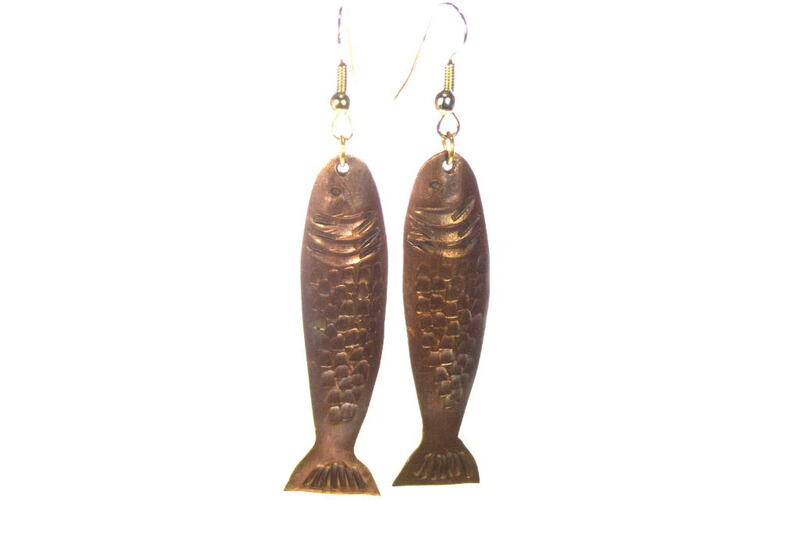 Made from a thin sheet of copper that was formed and then textured, they dangle from a brass ring. 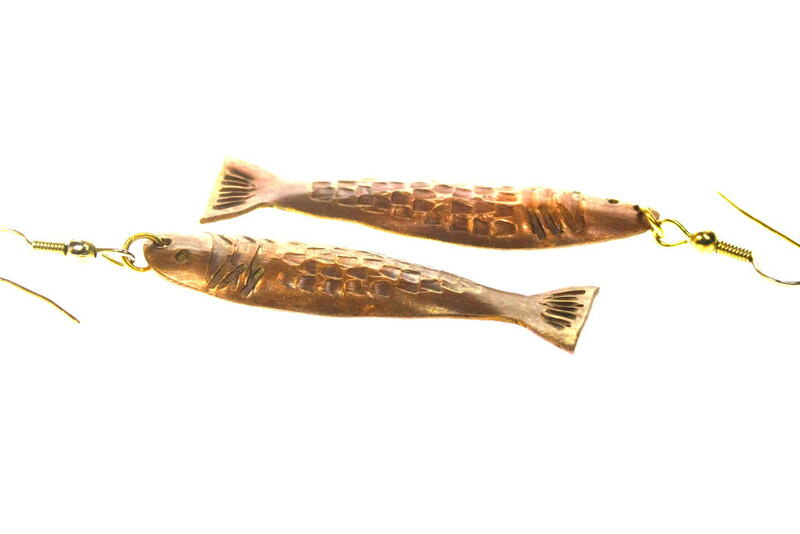 Careful, you could get hooked! 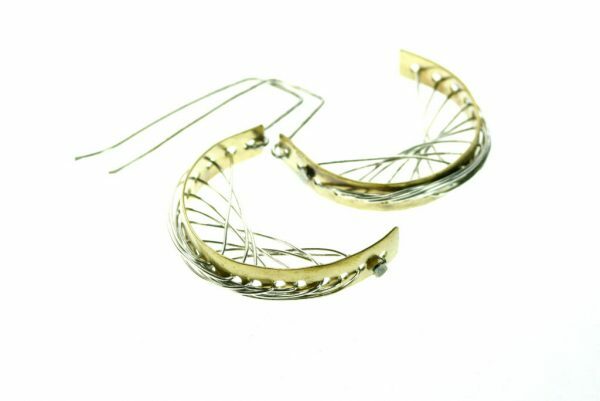 These earrings are 2.75″(7 cm) long from the tip of the ear wire.